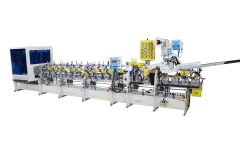 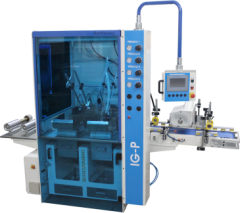 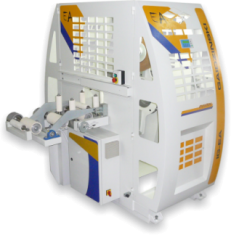 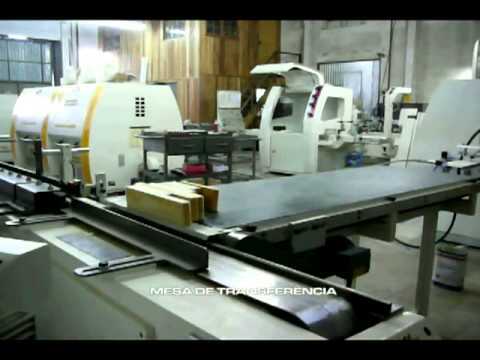 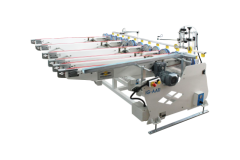 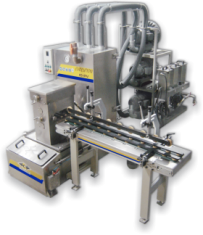 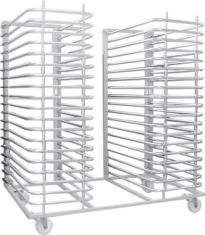 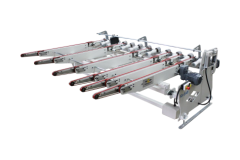 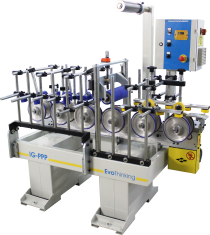 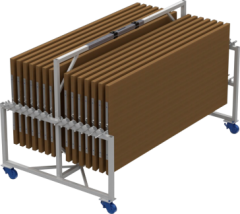 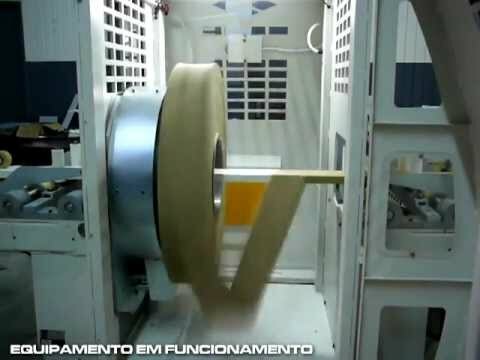 The packing machines have been designed to pack in a continuous or intermittent cycle linear picture frames, profiles, frames, doors, panels, and others, made of wood, metal, and PVC using reels made of paper, plastic and similar materials. 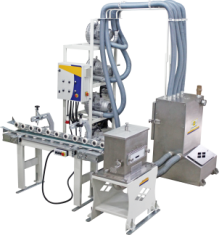 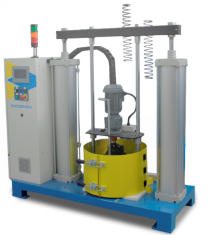 The painting line disposes of various concepts of painting such as vacuum coating, automatic spraying or conventional spraying, using Solvent, UV and water based materials such as paint, varnish, water shadow, DKP, PV, patina, among others. 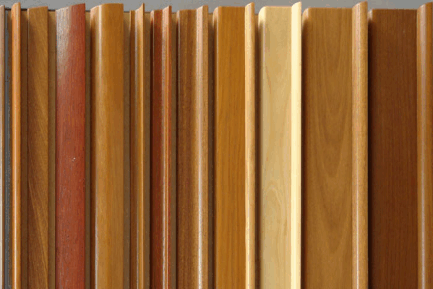 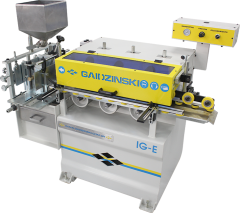 With a lot of experience and a very diverse line of products, Gaidzinski is able to offer for customers equipments with the latest technology in painting for profiles in general, mouldings, doors, frames, among others. 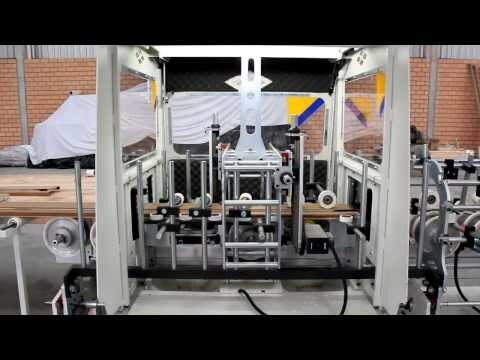 Automatic equipment or semi-automatic. 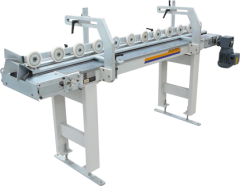 Flexible line, it can work with profiles, furniture, and panels. 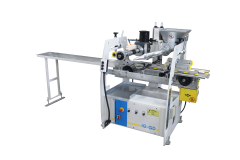 It has designed to correct imperfects, the extrusion line ensures an excellent finishing and uniformity profile because the extrusion process applies gesso in the cracks. 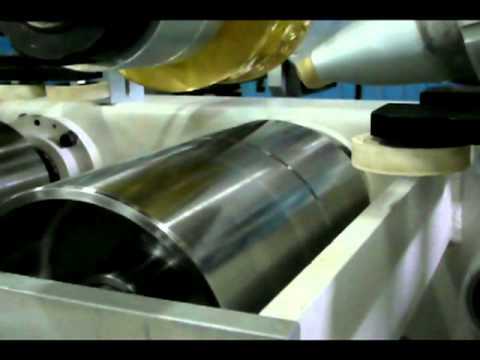 At the end the profile will be well leveled, permitting new process right after it. 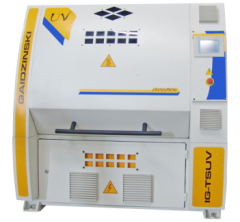 that have been painted with water based paint, solvent and UV paint. 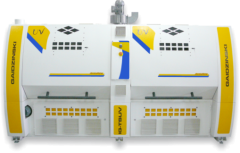 Options of ovens and tunnels available: UV oven, Gas, Hot water, Vapor, Electrical resistance and Thermal oil. 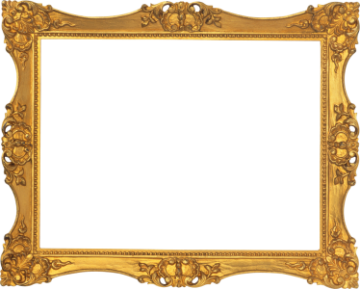 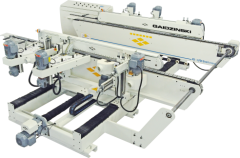 Gaidzinski handling systems have been designed to automatically handle frames, profiles, picture frames, and others in line. 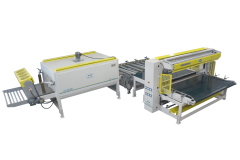 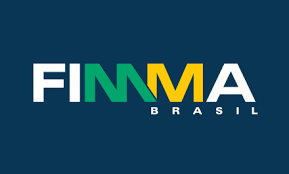 This line disposes of automatic loaders, conveyors, transfers and off loaders that enable the handling of the products at a very high speed (over 100 m/min). 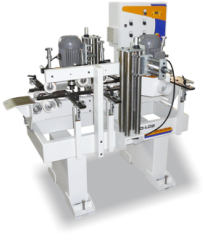 Gaidzinski wrapping systems have been designed for the wrapping of profiles, panels, frames, mouldings, and others in varied shapes and dimensions. 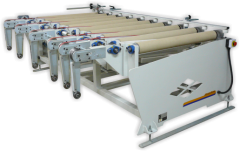 hot or cold transfer system with rollers and slot nozzles. 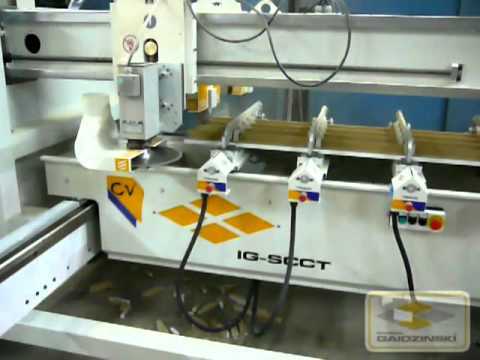 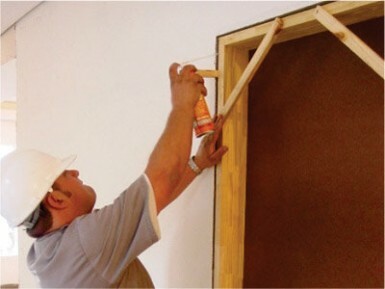 Its operation consists in applying glue (adhesive) over the desired sheet, being them gradually wrapped over the profile. 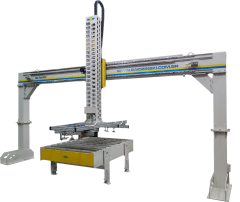 This equipment can also be modified anytime as it is built in modules, so any module as well as accessories can be added or removed at anytime accordingly to the needs of our customers. 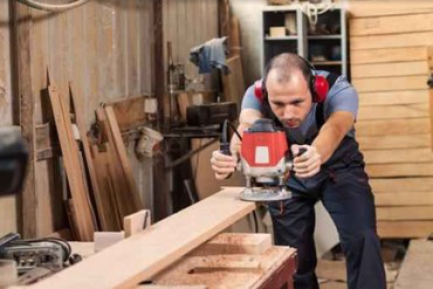 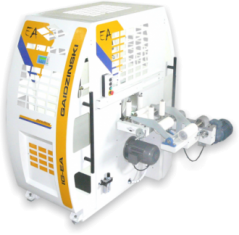 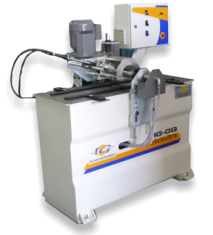 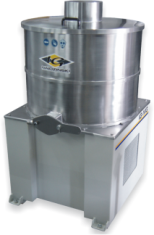 Gaidzinski Sanding machines have been designed to satisfy our customers needs in sanding, polishing, milling, buffing, brushing, wiping, and others. 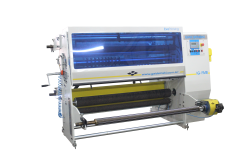 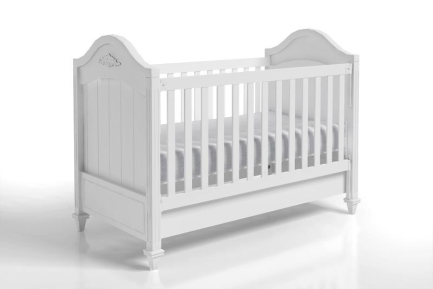 A wide range of models, operating groups and accessories are available. 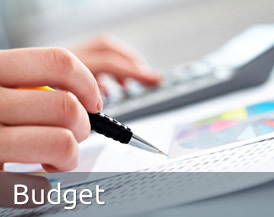 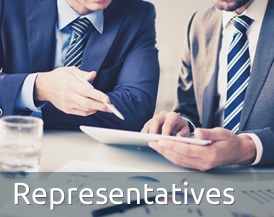 group can be added or removed accordingly to the needs of our customers. 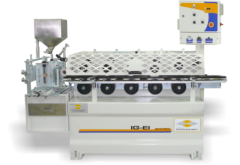 This line is dedicated to the embossing process with pasta or directly on the pieces (hot embossing). 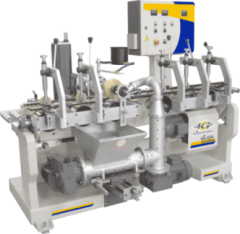 For the embossing process with pasta, a pasta is used together with a carved cylinder providing embossings of the most varied types and dimensions. 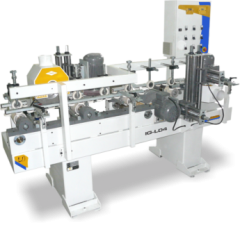 As for as the hot embossing, it's principle of operation consists in warming up a carved cylinder, and pressure it over the profile/board to get the most varied types of embossing. 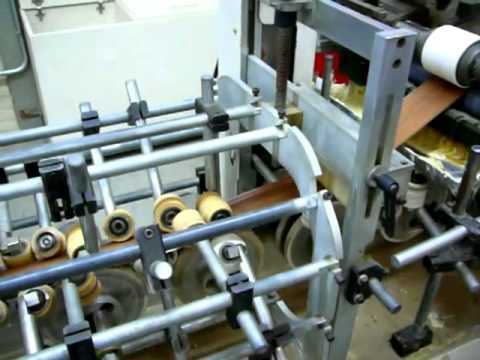 reels of paper, PVC/PET and CPL, hot stamping/foiling, woods in general. 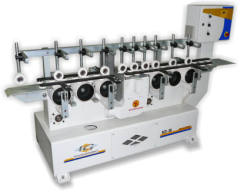 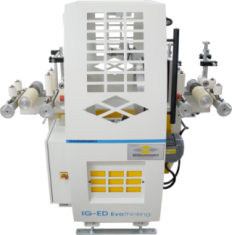 These equipments are suitable to work together with Finger Jointer machines, Wrapping machines, Sanding machines, Paint lines, Extrusion lines, among others depending on the machine. 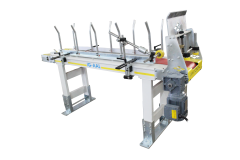 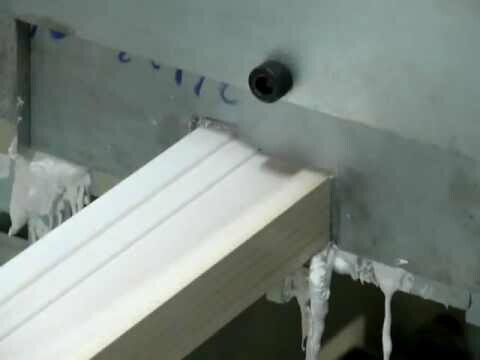 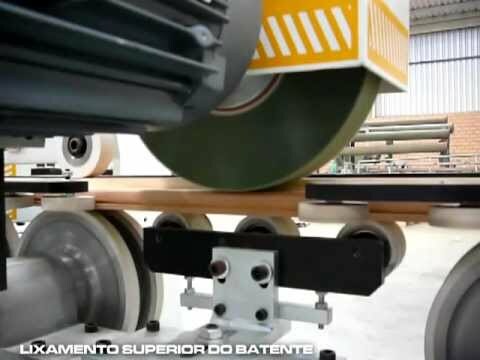 The Finger jointing system has been designed to joint blocks (wood) through a semi automatic vertical jointing system. 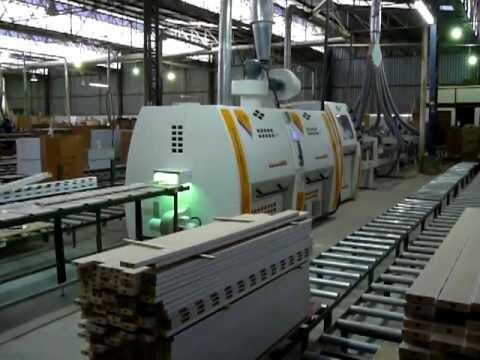 The blocks are vertically milled on their ends, the glue is applied and they are manually feeded following to the pre-pressing table, subsequently to the final pressing table ending the process. 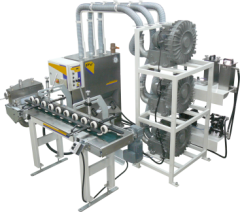 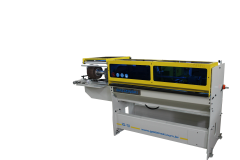 Fully automated line that can run with only 1 operator, being able to operate 24 hours providing great productivity for the company.